blasting out of the blues. For starters, stick to your routine. Get up. Brush your teeth. Put on some great tunes. Get to work on time. Keep your momentum. And then… get moving. Take the stairs not the elevator. Park far from the door. Movement makes a big difference. Unless you’re stopping to meditate, don’t sit still. biggest hurdle is convincing yourself to put your coat and mittens on and step outside in freezing temperatures. It’s so hard to do but so incredibly worth it. 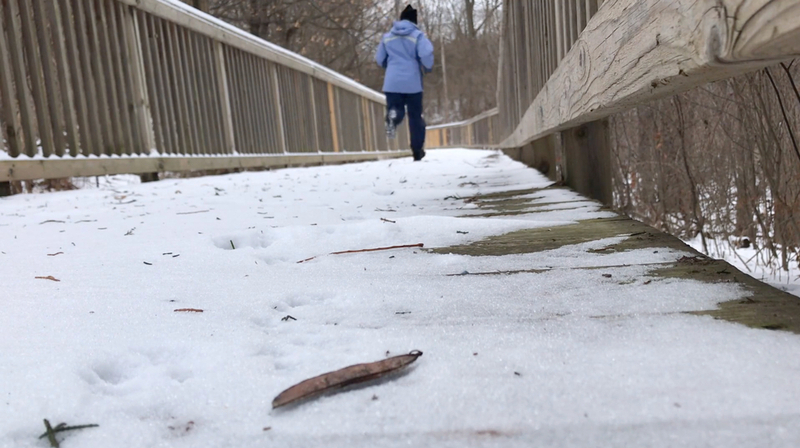 (Watch the video to see the 5 benefits of taking a run in the cold.) It’s the best blues buster, you find an extra pep in your step, you feel clearer, more creative and ready to take on the day. Get outside.